Start your week off right by picking among multiple important events tonight! First, there will be a big anti-Amazon rally in Court Square in Long Island City at 5 p.m. (but construction workers say they’re all in for Bezos’s boondoggle, according to Crain’s). Whatever side you’re on, only stay for an hour so you can head to one of two important workshops at 6:30 p.m.: On W. 26th St., Council Speaker Corey Johnson and Bike NY are sponsoring a primer on how to bicycle through the winter. Details are here. At the same time in Williamsburg, Courtney Williams, aka The Brown Bike Girl, will hold a workshop on how much money you can save by cycling. Sidenote: The weather isn’t supposed to be so grand on Monday, so make sure to grab your People’s Poncho. Just in time for the MTA’s public hearings on fare hikes (amNY), Dan Rivoli of the Daily News reports that the proposed fare hike on Acces-a-Ride customers is more than double that of other commuters. The Times had a great story about a new delivery tricycle that has the potential to change the world. But the Paper of Record glosses over city law and the ongoing harassment of delivery workers. One paragraph said the T3 from Brooklyn-based Upcycles is legal, but another graph explains, “To go uphill, a single click on the handlebar unleashes a power-boost from an electric-hub in the rear wheel.” The NYPD has been busting deliverymen and women who use throttle-controlled e-bikes — so how is the new vehicle legal? Gotham Gazette published part II of Allan Rosen’s three-part prescription for fixing the bus system. In case you missed it, Gothamist’s fun “Ask a Reporter” segment focused on street safety. But you know what did reverse decades of decline, in those cities which hadn’t completely collapsed economically, socially, and fiscally? Look at the timing — the 1980s. The decline in federal support for suburban infrastructure that took place at the time, with Reagan allowing states the flexibility to use the money they did get on transit if they chose. Suddenly, developing suburban areas had to pay for their own water and sewer with bonds as the cities had done. That meant existing infrastructure had value — too much value to just throw in the trash and build new elsewhere. So now the Republicans want to cut off money for transit but keep it for roads, taxing cities to build suburbs and subsidize rural areas and trying to destroy them, as in the 1950s and early 1960s. Uhh, no, but I have a “small government” idea that perhaps they could support. You pay for yours. We’ll pay for ours. And we’ll cut out the middleman in Washington. Gas prices high in the 1960s and ’70s? (Your penultimate bullet, linking to the Curbed post.) Seventies yes, sixties no. The pivot point of course was the 1973 Arab oil embargo leading to the OPEC oil-price hikes (which Curbed incorrectly conflates as the OPEC oil embargo). Anyway, not a bad history though it barely scratches the surface. I’m waiting for Nicole Gelinas’s book. Separately, while I don’t want to lock horns with Larry L, his idea that “Reagan allowed states the flexibility to use the money they did get on transit if they chose” is news to me. Could he be crediting #40 with seminal events he had little or nothing to do with, viz., Westway trade-in (mid-eighties citizens litigation) and ISTEA (1991)? All these events and not one listed on your calendar. The message from the National Climate Assessment published on Friday was clear. To sum it up in four words: We Aren’t Doing Enough. Or five words: We Need To Do More. You want a six-word Hemingway short story? For sale: 2012 climate plan, scorched. In light of the alarming realness of towns on fire, coastal homes being abandoned, and heatwaves killing seniors, it would be nice if local pols would do more than pat themselves on the back for their preexisting plans. It’s not enough to call their long-term targets unprecedented, like Scott Stringer did, because the threat is unprecedented times ten. While it is a baby ask, NYC’s mayor for the last five years should be taking transit regularly to get to work. Every week. It is long past time to rethink his freebie giveaways to the placard class and his blind eye to anarchy on our streets. If he’s all in to remake NYC with a focus on STEM (science, tech, engineering, math) jobs for all, then convene a locally focused council of climate scientists and take their recommendations without delay. He very much risks looking like Nero, fiddling while Rome burns, or like George W Bush parading around a warship in a flightsuit under a ‘Mission Accomplished’ banner, totally at odds with actual events. The description is not clear but it sounds like it could be a pedal-assist e-bike, with a switch to enable or increase the level of assist. “A single click on the handlebar” doesn’t sound like it’s talking about a throttle-controlled e-bike. As I recall there was flexibility to use money for transit in the Surface Transportation Assistance Act of 1982. I may be wrong, but I do remember things from 1982 more easily than I remember things from last week. Most of the stuff I can find on it emphasizes the first time inclusion of “buy America” provisions. The problem is not the politicians. Very few people are willing to make the lifestyle modifications required. And environmental advocates haven’t helped when they tried to sell environmentalism as something we should force the big corporations to do. Very few people are as honest as this guy. People think I’m doom and gloom. I’ll stick with the scientists. Thanks for sharing your views and those of a German friend of yours. German friend of his, not mine. The problem isn’t that most people don’t believe in global warming. The problem is that even most of those who do believe in global warming are unwilling to change their own lives to do something about it. I say that as someone who thought Jimmy Carter was right, and have tried to live accordingly. But he wasn’t re-elected. I mean look at “America First” Trump willing to throw away American values in exchange for a lower oil price. Just another nauseating example of the price we’ve paid — over and above global warming. Sure. There are a lot of vested interests portraying climate change as an issue that we are helpless to address. This shrug and do-nothing approach is exactly the scenario detailed in the report last Friday, or described by the Trump hacks as the “extreme scenario.” You can see the impact right now, today, in the California families who were homeless fighting norovirus in a Walmart parking lot over Thanksgiving, or the Air Force base with multi-million dollar planes that was destroyed last month by a rapidly escalating Cat-4 hurricane. Much more of that to come. Like I said, there are many astroturf efforts to portray climate change as too difficult to address. For example, you used air travel, a relatively in-substitutable means of travel which accounts for less than 3% of annual US carbon emissions, as your case study to dismiss the problem as lost. But if you looked at car travel instead, that accounts for 23% of annual US carbon emissions. Let me turn the problem right back to our mayor. How many NYC car trips is he working to shift or eliminate (by substituting bus, subway, walking, or biking) over the next 6 months? And how does his target number compare to the NYC car trips that are either short-distance or can be substituted? And if his target number is zero, WTF. Thanks for calling out this whopper. I almost threw my copy of the NY Times on the floor when I read it this weekend. Comes from the reporter growing up in West Windsor, NJ. I think people not being willing to make changes is a bigger problem than politicians like DeBlasio not being willing to try to make them make changes. He is a careerist, and thus a follower. Although it would be better if he set a better personal example. The Granola Shotgun guy actually lives a fairly low carbon lifestyle — in a city, without using a car much. So it isn’t that he is doing nothing. It is his view that other humans won’t do anything. I don’t think the problem is vested interests. For example, this documentary pointed out that meat production is a bigger emitter of greenhouse gases than many of the other things people talk about, but no one is willing to tell people to cut back on meat. Even though, like using less oil, there are lots of reasons to do so that have nothing to do with global warming, to the point it ought to make sense even to those who don’t believe in that. In fact, tons of people are suggesting cutting back on meat. Another deflection. re: The Times story about the experimental Upcycles delivery tricycle, there’s no mention of Worksman’s (made in Queens) delivery trike. At least one express freight carrier — I think it was DHL, but don’t hold me to that — used Worksman trikes in Manhattan; perhaps they still do. According to Alison Conway … dense urban environments like New York City simply were not designed to have trucks deliver everything to individuals the way services like Amazon do. Historically, cities have evolved with stores, where individuals congregated to buy things. You’ll see NYC’s streets crowded with horse-drawn vehicles transitioning to motor vehicles. Historically, I don’t think there’s a historic analog to today’s Uber and Lyft, but the visual record shows consistent intense and dense activity, both vehicles and pedestrians. > so how is the new vehicle legal? The Upcycles T3, like any other e-bike, is legal as long as it requires SOME human power input for propulsion, and has a motor rated at no more than 750W. As long as the “extra power” button boosts the pedal assist, rather than eliminating the need to pedal, it qualifies as a Class 1 (pedal assist) e-bike. This is no different from so many other (legal) pedal assist e-bikes, which offer different selectable assist levels. The Bosch system even automatically determines you’re going uphill and increases the boost. Delivery workers could become legal by permanently disabling their throttles. The fact they so far have not blows my mind. Why disable your throttle when the chances of getting penalized for it is so low? But with the coming scooter share programs perhaps the city will finally just codify the legality of class 2 ebikes. > Why disable your throttle when the chances of getting penalized for it is so low? Many delivery workers have had their bikes confiscated and been fined multiple times. That is a major chunk out of their yearly earnings. There have been organized protests over this issue, and a lot of ink spilled about how damaging it is for delivery workers. I have to believe this press and assume the chance of getting penalized is significant. > But with the coming scooter share programs perhaps the city will finally just codify the legality of class 2 ebikes. Sorry… the proposals that have been floated around the Council would legalize throttles as long as there’s no seat to sit on. This is blatant classism, but probably what will happen. Some delivery workers have had their ebikes confiscated, but it’s a drop in the bucket when compared to the total number of ebikes being used here. And the stings were geographically isolated, and limited in time. So taking that into consideration, most delivery workers are probably less worried about removing their throttles. Those throttles make the job so much more pleasant, greatly reducing sweating during the hotter months. And overall you can cruise working those long hours rather than constantly pedaling. 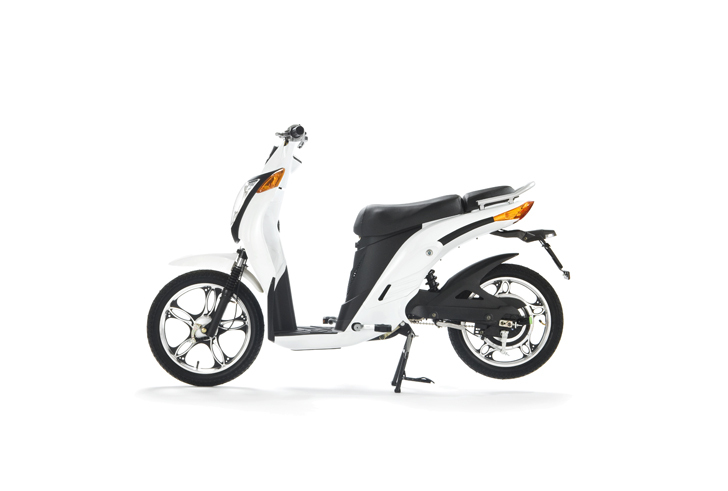 There’s also a lot of ebikes out there with pedals that are really inefficient, like those two-seater variants which are more like scooters. Risk-reward ratio. And about the council proposals, I guess we’ll see. It would be ridiculous to omit seats, but what else is new. If I’m carrying a heavy load on a bicycle/tricycle I would most definitely prefer throttle control for stability reasons. If they don’t include throttle control they are going to get eaten by the competition. I doubt you have tried the e-bike in question, or a deep understanding of delivery worker psyche. I have the same e-bike as used by most delivery workers, and I disabled my throttle. Other than starting from a standstill (when you get no assist for a fraction of a second), you don’t have to pedal very hard if you don’t want to, basically just keep the pedals spinning. I believe delivery workers don’t disable their throttles because they don’t understand the law and nobody has made the effort to help them understand the law. Not once have I seen a report of a delivery worker who, when presented with these facts, refuses to disable the throttle. You have this type of eBike? These are those I am referring to that are very popular, but are crappy to pedal. I don’t even think the first offers pedal assist, and the second definitely doesn’t. However these are two of the most popular models in the city. And maybe most do not realize that the class 2 bikes are illegal, but that’s probably because the crackdowns are not commonplace. Up here in the Bronx for example there are never any crackdown on any bicycles of any type whatsoever. Or if they are, they are extremely rare. And I should add that I did have a pedal assist bicycle, ended up stolen (I now own a throttle only ebike), but being a male even a bit of spinning would make me sweat heavily during my commute of 8 miles. In the summer I’m sure these delivery workers who are spinning on pedal assist bikes are drenched. The humidity alone is enough. No, I have the Arrow e-bike, of which you see about 246 in this picture. It is by far the most common delivery e-bike in NYC. It’s way better than the “scooter-style” e-bikes you posted. Much lighter, and Li-Ion battery that lasts 4 years, instead of cheap Pb-acid POS. It also costs more to buy, at ~$1500. > And maybe most do not realize that the class 2 bikes are illegal, but that’s probably because the crackdowns are not commonplace. Crackdowns are in Manhattan and Brooklyn, not the Bronx. You’re right that is a very common model, but most people use the throttles on them. The crackdown didn’t have any effect on adaptation. It only screwed over those who had their bikes confiscated. Yes, an excellent program! I enjoyed it immensely. They covered so many aspects of transportation. To clarify: our trikes are Class-1 pedal assist. Our pedal-assist system responds immediately and matches directly with your pedal-effort (at starts and at speed), even with heavy load. Our trikes are pedal-assist. There’s no throttle.